Way back when I first started this blog I wrote predominantly about beauty. This has definitely been phased out over time, as I realised that I actually don’t know that much about skincare or makeup. This meant that all I was ever really doing was talking through the various beauty boxes I was subscribed to or hauls, and it was neither sustainable or particularly interesting. However, I do love makeup, so there will always be the odd beauty post scattered throughout the usual lifestyle and travel content, and this is one of them. After finally starting to get my eczema under control after it appeared out of nowhere a year ago, I’ve finally begun taking interest in beauty again. As such, I felt compelled to make a few new purchases and after some of my skincare ran out I’ve managed to find some new favourites. I bought this on a whim after running out of my old favourite Kiehl’s cleanser, as I’ve enjoyed Avene products in the past and this sounded right up my street. Turns out, it’s the best cleanser I’ve ever used. It’s designed for sensitive that’s prone to redness (tick, tick) and is a lotion texture. You massage it onto a dry face and makeup just melts away, and it’s also great as a second cleanse. I don’t find it dries out my skin, and it doesn’t leave behind any residue. Overall, it’s a brilliant cleanser. I can’t say whether it works to reduce redness as I haven’t been using it for long enough to say for sure. I’ve been after a new serum for a while, and thus far I’m really enjoying this one. 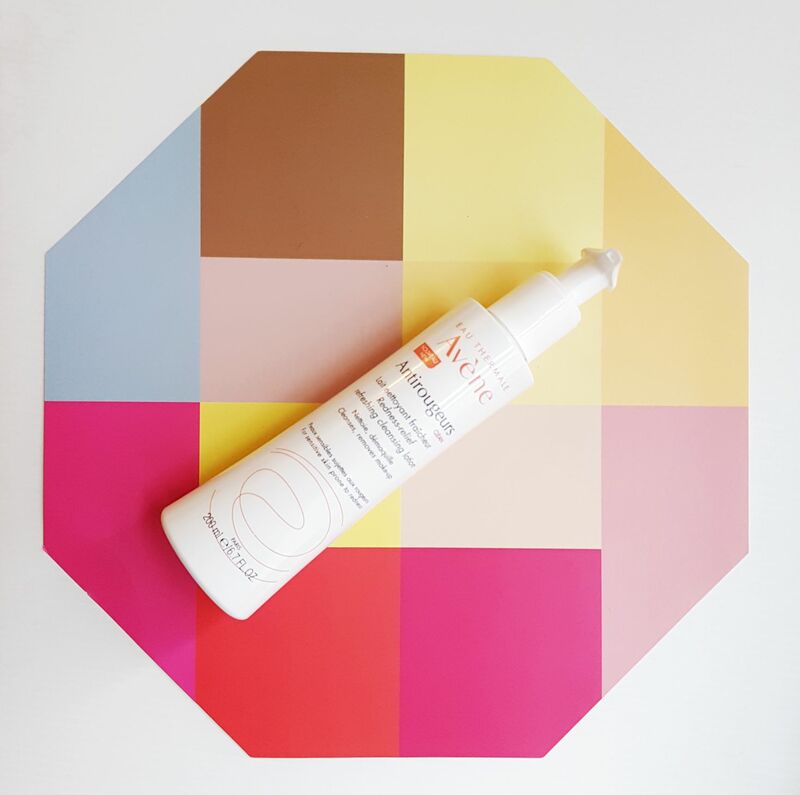 Vitamin C serums generally help to brighten and improve skin texture, and this one is also packed with hyaluronic acid to boost moisture and improve the effectiveness of my moisturiser. It’s not the most complicated serum out there, but at £16.99 and with a Caroline Hirons seal of approval, I’m all for it. There was actually a bit left of my Kiehl’s moisturiser with SPF 50, but I’ve fallen out of love with it of late. It was a massive pot and just seemed a bit gross after using it for so long, and it just didn’t seem to be as effective as it used to be. It wasn’t out of date so I’m not sure what changed, but I decided it was time for a change. 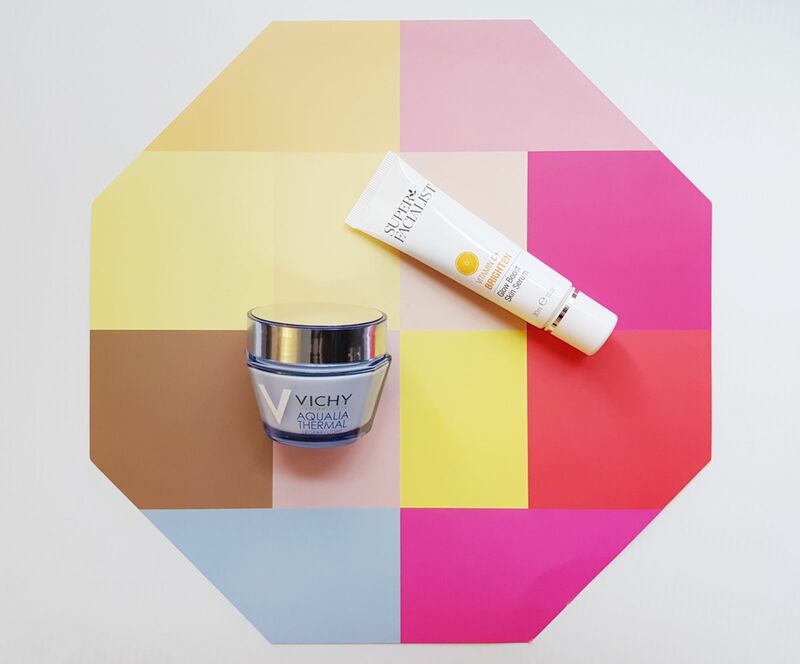 Vichy generally has a pretty good reputation in the skincare world, so I grabbed this one in while in Boots. I chose the lighter formulation simply because they had run out of the heavier version, but despite my dry and dehydrated skin this seems to do the job when I layer it with a serum. It’s very lightweight and absorbs almost instantly, and so far, I’m happy with it and would repurchase it. You’ve no doubt seen this plastered all over the internet since the very high profile launch a few months ago. While many were initially overwhelmed that the secretive announcment was just for a mascara, it’s worth bearing in mind that Benefit’s mascaras are their biggest sellers, hence all the hype. However, I’m somewhat unimpressed by this mascara. I always buy the mini versions of mascaras as they go off so quickly and it means I can change things round more often. Badgal BANG! promises volume and separation without weighing down the lashes, and on some of that it does perform. 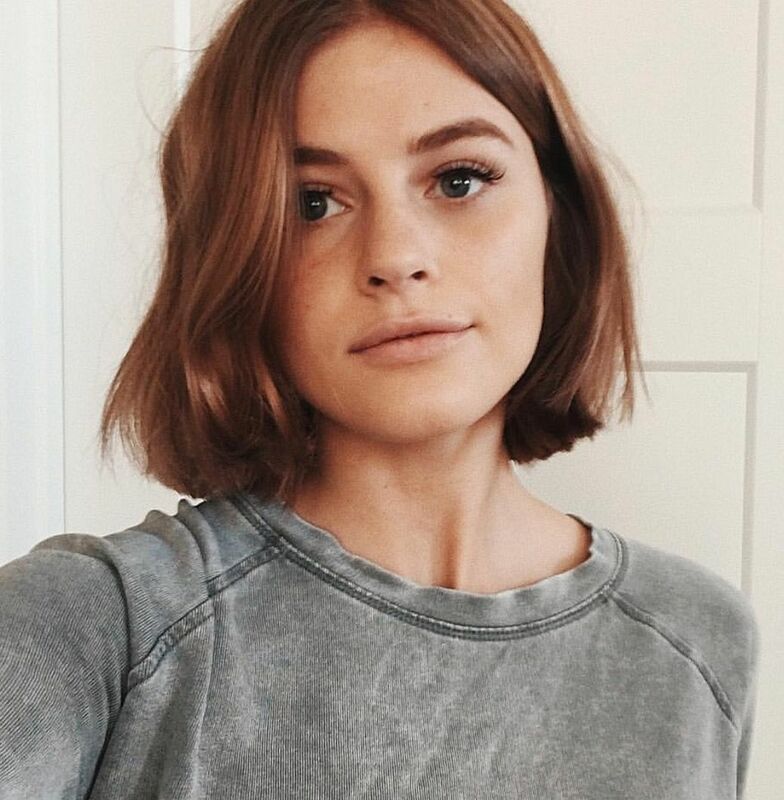 It definitely volumises and separates, but it tends to clump a little bit and I find that the brush, for all that it’s supposed to amazing, picks up way too much product and I have to wipe it off before using. If you use too much it tends to flake slightly throughout the day, which I’m really not a fan of. I’ve pretty much figured out how to make this work for me, which is basically less is more, but I already have quite long and volumised lashes that only need to be darker to stand out. If your eyelashes are different to mine you may not have as much success. In pursuit of a concealer that’s slightly lighter my skintone I completely failed, but I did finally find one that’s about the same colour. Chantilly is a teeny bit too yellow, but it’s a full coverage concealer that blends out well and covers my dark circles and redness really well. After having some real trouble with dry and sensitive lips over winter, mine are finally back in tip-top condition and I can finally wear lipstick again! 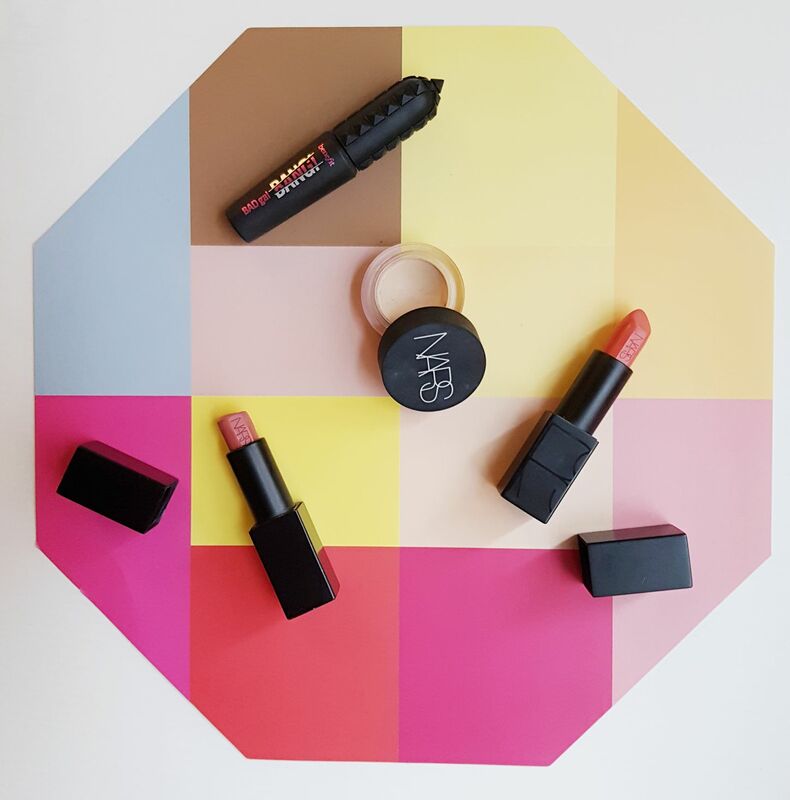 The occasion clearly called for a new lipstick (or four), and since I was over by the NARS stand anyway, I bought Anita back in September, but I’ve since added Catherine to my collection, as well as the two Velvet Matte Lip Pencils below. 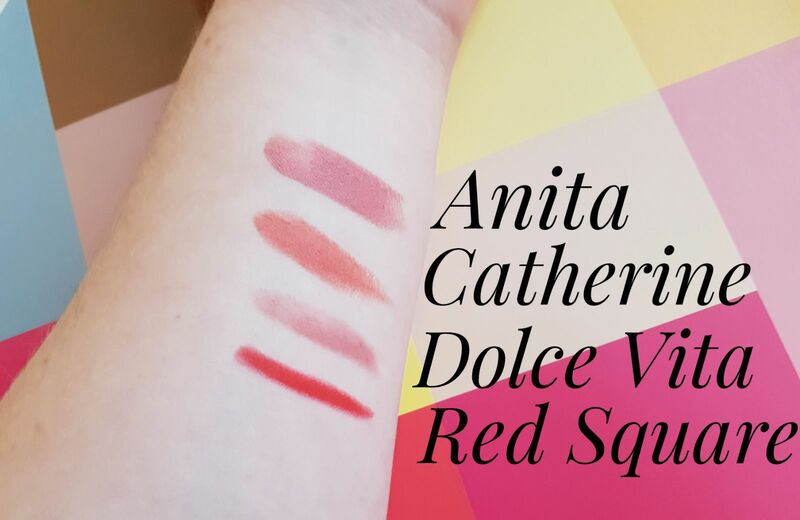 While Anita is a gorgeous and wearable dusky pink, Catherine is a brighter coral-pink and a shade I haven’t really worn before. I’ve been really enjoying pairing this with the green coat I bought recently and it’s basically my new favourite combination. 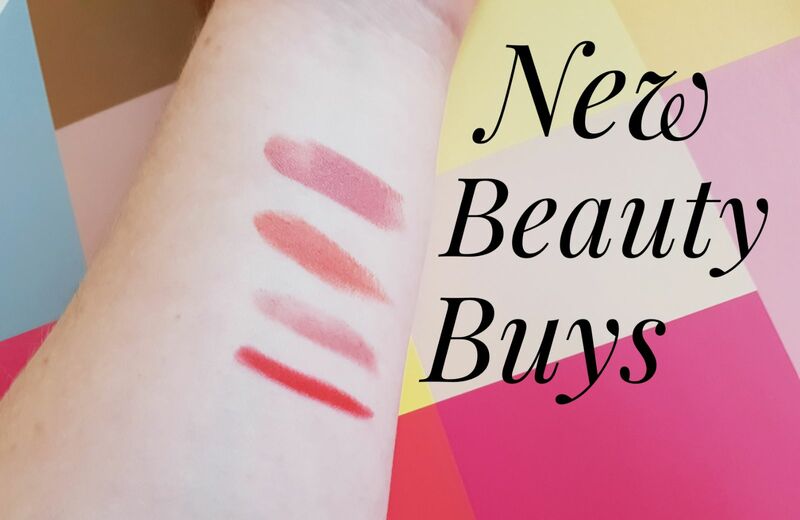 Although I enjoyed the formula of the Audacious lipsticks, it’s quite creamy and not very long-lasting, and I thought the Velvet Matte Lip Pencils might have bit more staying power. Dolce Vita is very similar to Anita, and although I like it, it’s much sheerer than Red Square. 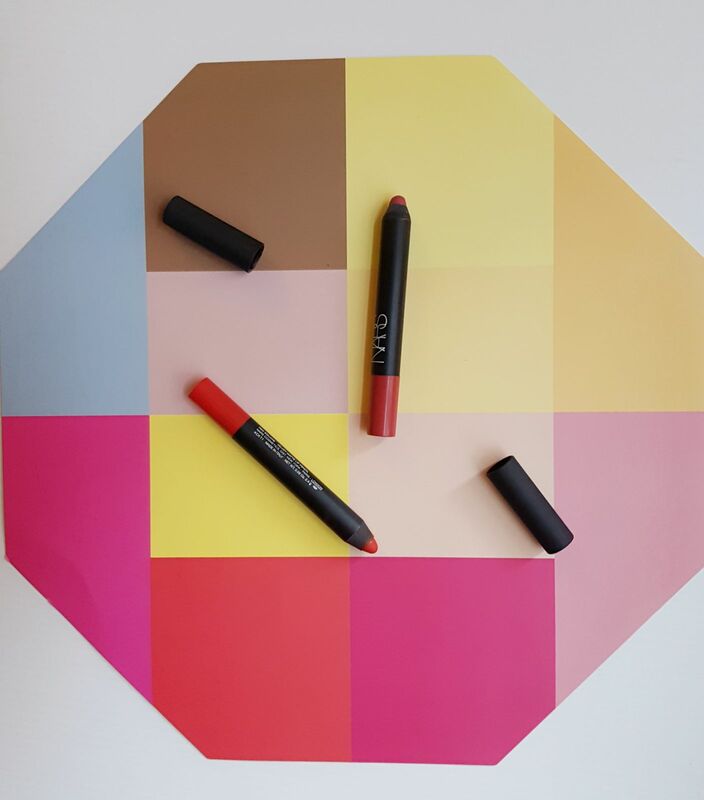 Dolce Vita is more like the Audacious lipsticks in formula, whereas the brilliant orange-red Red Square is much more matte and long-lasting. I really enjoy wearing it with all black as it brightens up an outfit and makes me feel Parisian, which is always a good thing. That’s all for today, and I don’t really know when I’ll next write another beauty post as I only get inspiration every now and then. However, I really enjoyed writing this one as I truly love all of these products. Hope you’re all well and hopefully you’ll like some of my picks. TTFN!